With HR management becoming a key strategic component within the organizations, choosing the right payroll management system is critical to engage and empower employees. We, at Crecer Digibots, are simplifying HR processes for companies that focus on innovation and automate their traditional Payroll management system and drive benefits across functions. Now Employers can focus on employees and spend minimum time on systems and more time on boosting employee morale. HR management activities in a single, centralized location. Search employees, modify employee details, create and view organization hierarchy, create user wise permission sets. Easily Track time and attendance. Eliminate errors in payroll management through automated data entry. Effortlessly consolidate attendance data from multiple devices, customize leave types. With HUCON, payroll management has become easier, salary slips are automatically generated in payroll system and employees can view them from a single login. 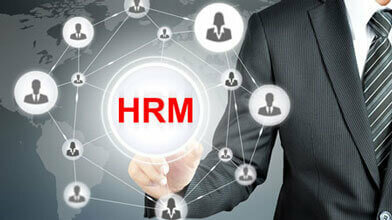 One of the most difficult functions of HR management System is to identify strengths and development needs of employee. With HUCON we have simplified HR management, set goals, gather feedback, and review performance, bridging the gap between current and expected skill levels of the employees. PT calculation is supported for all states in India and reports are auto generated for easy payroll management and filing. Ready to file reports help in ESI payments and compliance even for multiple ESI codes. Custom report creator in HUCON system lets you easily configure reports for Factories Act and Shops Establishments Act.